Mazda has appointed ALD Automotive to provide white-labelled operational leasing services for fleets and private drivers through its dealer network in the Netherlands. ALD will provide white-labelled operational leasing solutions to Mazda’s dealers in the Netherlands. Effective from 1 June, the deal will cover all of Mazda’s leasing products in the country and will enable dealers to offer leasing solutions for both large and small fleets as well as private drivers. 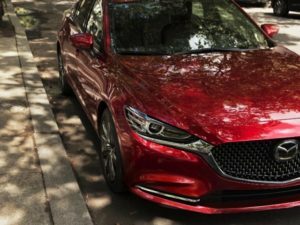 The deal builds on the firms’ existing partnership – ALD Automotive also provides full service leasing services for Mazda through its dealership networks in Spain and Italy. In total, the leasing firm has over 120 agreements in place with 10 car manufacturers in 31 countries. ALD also brings around 16 years’ experience of operating in the Netherlands, where it manages over 42,000 vehicles.